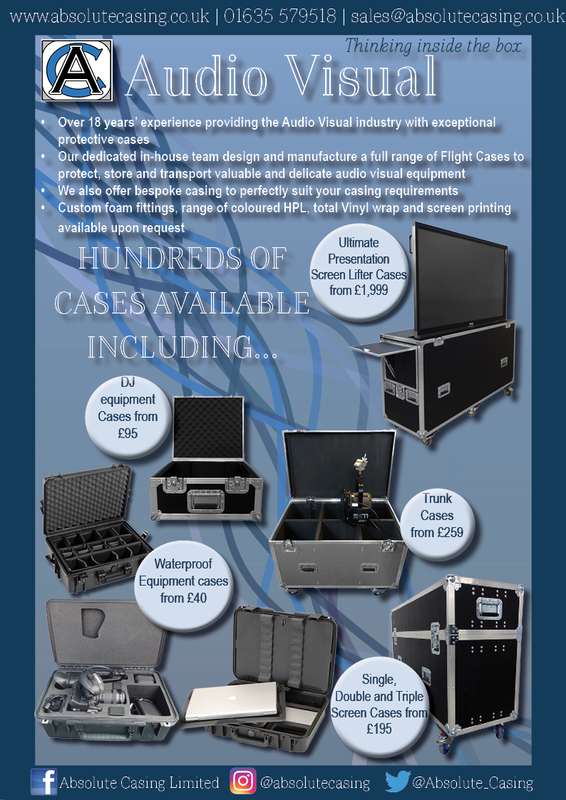 Absolute Casing is home to an extensive collection of audio-visual flight cases- check them out here! We supply the protective flight cases to suit an array of needs and wants, we are confident you’ll find an ideal solution for your audio and visual equipment, however, if you don’t find exactly what you’re looking for, feel free to discuss your needs in further detail with our team of experts. Here at Absolute Casing, we think nothing less than to provide you with a custom solution, ensuring that your valuables are protected securely. Our in-house manufacturing and design services are designed to cater for your delicate audio and visual equipment. The audio-visual equipment flight cases are manufactured with your needs in mind, no matter what size or shape you require, we have the perfect solution waiting for you! Our custom foam inserts are exactly what you need to keep your valuables in place; they provide a comfortable fit for the equipment you have to carry to and from events! We offer various options to personalise your audio-visual flight case and help promote your company. These options include screen printing, total vinyl wrapping, coloured materials and powder coated furniture and extrusions. When it comes to finding audio-visual flight cases or other equipment flight cases, you needn’t look any further than Absolute Casing, we supply camera cases, computer cases, laptop cases and lighting cases, just to name a few! Browse our complete range of audio-visual flight cases here today! If you cannot find the case you’re looking for, please contact us by calling 01635 579 518 to discuss your casing requirements. Click here to view our 2017 Audio Visual flyer.